My name is Dan, but please call me Truth. There are several reasons behind the name Truth, one of which is the calling out in me that which is needed...truth. For many years of my life, I walked the hypocritcal walk of a Christian on the outside, but a liar on the inside. I deceived many people and hurt those I loved the most. My gamertag is TruthPastor GBG and like the name implies, I have been a Pastor in a church located in Southern California. I have recently left that position because of God's calling on my life. It is an exciting time and I can see God's hand as He has prepared me for this assignment. I have had more than my fair share of times where my flesh has won the battle and I have fallen into things that do not glorify the Lord. I have had my share of addictions and other things that took me away from God and into the lonely emptiness that follows. I have tried to find comfort and joy in the things of this world and found them to be empty as the scriptures warn. I now know that all I have is grace. I am grateful to the Lord for allowing some great teachers to be in my life, including the men who started GBG with me, Sneaks and N0 False G0ds and our newest Overseer, Risen GBG. I am hungry for the things of the Lord and desire to see what God will do in others. He has created us with a destiny in mind and an identity that is in Christ. My focus when I teach is on identity and destiny and recoginzing that we are all part of the Kingdom of Heaven and that there are no paupers in that family. I hope that helps you to know a little bit about myself and who I am called to be by the Holy Spirit. If you ever need to talk let me know and I will seek wisdom from the Holy Spirit to help you. If you want to talk privately, send me a pm (private message) and I will respond as soon as I can. I do not have all the answers, but I am in relationship with the One who does! Lord, I ask for both blessing and favor on this website, it's members and those that game with this group. 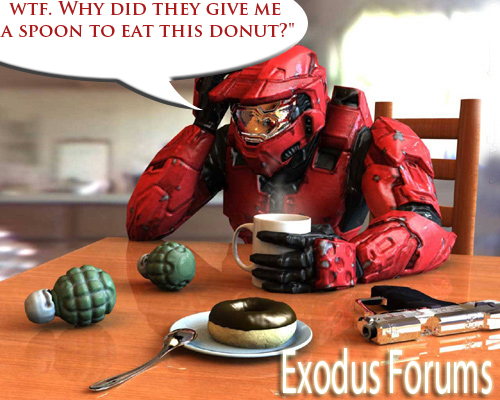 Help them to become a presence in the Halo Community that brings benefit to the entire community. I ask that you give the leadership wisdom to handle the challenges and opportunities that will come as they grow! In Jesus name I pray. truth!! its nice to meet you, thanks for the prayer! I will check you guys out, sign up on your website soon, you guys seem to hav a big community.